Hello everyone. The big date is getting closer and closer and our pillow time is diminishing rapidly. Sleep’s gonna have to wait. Our vision is to facilitate interoperating data for the new internet, with a user-centric approach. We are close to finalizing partnerships with two governments (one already announced and one to be revealed soon) plus a few companies. Right now, as users of the internet, we collectively generate 2.5 quintillion bytes of information per day, most of which is surrendered in exchange for services. The blockchain ecosystem we’re developing requires real work to implement, but the problems it will solve mean it can’t come quickly enough. The cost of data breaches from centralized applications is forecast to reach $2.5 trillion in two years. Step by step, month by month, day by day, we are getting closer to realizing our goal. Today we are going to shed some light on what has been going on at the Essentia offices over the last month. 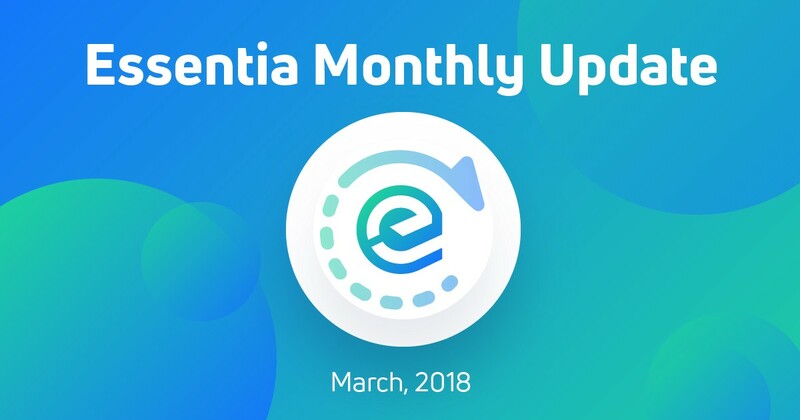 This is big: in mid-March the first Essentia product version will be released. We have distributed the load over the display of cryptocurrency chart movements and fixed a problem where some users couldn’t access them. In keeping with our commitment to user security, we have also implemented an Essentia cold wallet. From now on, users will have the option of using the framework’s functionality in offline mode. The transaction you create offline will be saved as a file. Later on, this transaction can be started from any device and anytime when convenient. We also keep expanding the list of currencies supported by our wallet. Aside from those already added, you are now able to exchange such ERC20 tokens as EOS, TRON, Vechain, Icon, Binance Coin, Digix DAO, Populous, Maker, and Golem. We have changed the saving structure of the configuration file. As of now, anytime a user changes the settings — adds or deletes a dApp from the launchpad, for instance — this is automatically saved into their config file. Now users can upload larger files to storage, as the size limit has also increased. Essentia favors convenience. That’s why we decided to implement the ability to receive transactions with the help of a QR code. The QR code corresponds to your wallet address. This way you are freed from having to send people long wallet addresses; now you can simply show them the code to scan, and that’s it. You can also specify the amount of currency to receive, which will show up alongside the QR. That way, by a simple scanning action a user can get the address and the amount they have to pay. Having taken this quote as our motto for the month, we improved the launchpad’s functionality and design of icons on the mobile version of Essentia. Status.im is now working a lot more smoothly on mobile devices as well. We have also increased EtherDelta’s throughput, by switching from using an API to using smart contracts. This way we cut out the intermediary and are now working directly with the blockchain which increases the overall speed of interaction with the dApp. As part of our goal to enable blockchain technology adoption around the globe, this month Essentia has done something truly significant. 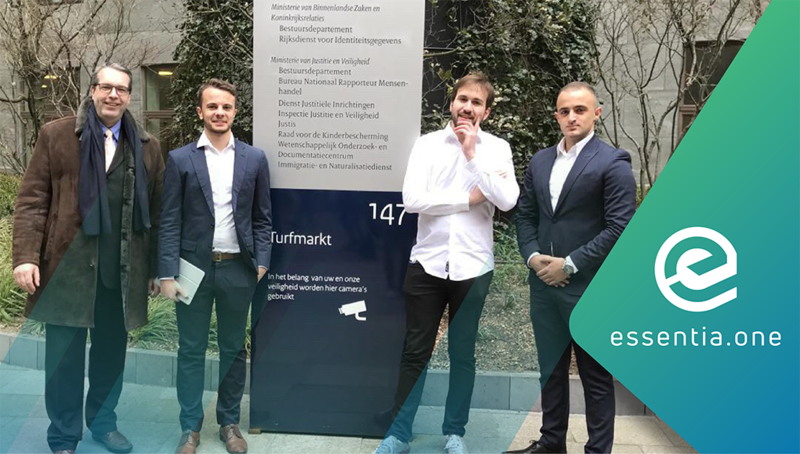 We had a meeting with the Netherlands to discuss how blockchain, and Essentia in particular, could manage the identities of international travelers. This is just the beginning of a series of announcements regarding piloting and testing with companies that we are partnering with. 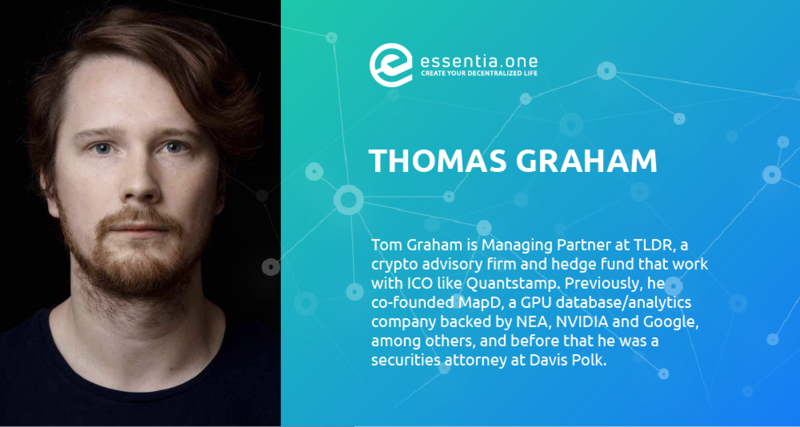 We’re also pleased to welcome a couple of new advisors to our team, beginning with Thomas Graham from Quantstamp. 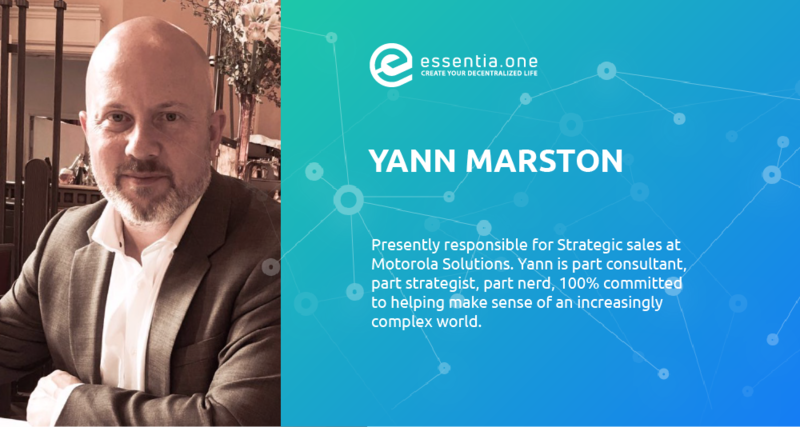 We’re sure that his extensive experience in content marketing will make him a great help in reaching the Essentia community. Secondly, we now have Yann Marston from Motorola Solutions on board. He’s proven himself at the highest level in business, particularly when it comes to developing partnerships in emerging markets. As blockchain technology continues to proliferate, Yann will aid us as we seek to work with major corporations across a range of sectors. These are exciting times for Essentia, and for our rapidly growing community too. Rest assured, this is only the beginning: the best is yet to come as we double down on our efforts to build a new layer to access the internet. In the short space of time we’ve been up and running, we’re proud of how far we’ve come, but the bulk of the journey still lies ahead. 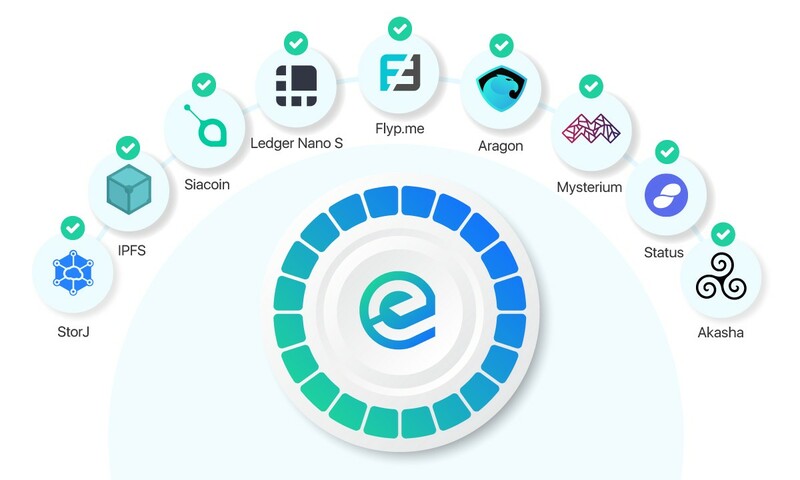 The Essentia framework provides you with one seed, working across all devices, platforms and blockchains, to control your digital assets, attributes and connections to the physical world. Your data will finally belong to you and you will be able to choose who can access your data and to what extent. Imagine being able to apply for a visa in seconds, have your medical history available in foreign countries, pay for hotels and flights in cryptocurrency, and secure travel insurance, all through your own Essence. All parties will receive only the information they need, only for the time they need it for, and only for the purpose stated. To learn more about the project, visit our website and check out the previous articles in our blog. Essentia is forged by a set of protocols, forming Essences. It is the gateway to take control of your digital destiny.